The primary function of any UPS system is to make sure that the company’s important equipment are backup up with power in case of a short in supply or unexpected fluctuations in it. There are a lot of other benefits also associated with the UPS systems of today. All over the world, there is a great emphasis on saving energy which was being depleted across different industries. The role of a UPS is what makes this possible as it helps businesses control the energy that is consumed by them, but it also gives the most important protection for the load that uses the UPS. One of the problems that people feel while purchasing a UPS in Chennai is the preparedness for the future. With the usage of power increasing year after year, it’s important that the UPS system that you buy and use does not become irrelevant after a few years. Hence it is essential to choose a system that can be modified in the future in case there is a different power supply need for the business. Modular UPS Systems can provide the much-needed flexibility; it can give a lot of choices when it comes to the power that needs to be supplied and the space that is needed to place it. The design gives an option to modify the power requirements as per the need of the business. At times, businesses grow and there might be a need to increase the load of the UPS, or in some cases, there could be a shutdown, which means a lesser load, modular UPS can be able to accommodate this. Backup power generators are highly critical when it comes to the business security as they may need to be operated in case of power black-outs or voltage fluctuations. Some of the offices that function and have a high reliability of technology are in dire need of power supply backup solutions. By using UPS systems, it not only protects the company with a timely backup power supply, but it also ensures that you are not wasting any energy in doing so. Relying on just a standalone modular system could prove to be costly for a company. In modular systems, each module works independently as a standalone system but will be operating as an integrated unit. This enables the option to isolate the problem areas and fix it independently without affecting the operation of the other loads in case of any issues with the UPS. Every UPS is designed in marketed in such a way that the energy efficiency is highlighted. It can protect the load from power surges in times of need and also save a lot in terms of energy costs. 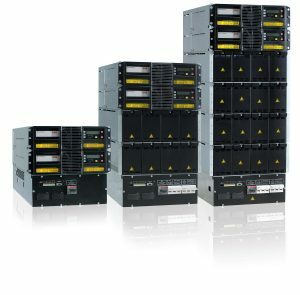 Here are some of the main advantages of a UPS system. Whether it is a factory set up or just a data center, with a UPS, you can rest assured that there will be a continuity of power supply. The circuits within a UPS communicate with the mains power supply unit and when there is a shutdown or disruption in power, a consistent power is delivered to the load. The mains power could have a lot of disturbances which may include spikes, dips or even failures, by sensing this, the UPS switches over to the backup power thereby protecting the load from any possible damage. A line interactive UPS has the ability to act as a filter, it filters out all the noise and only delivers a high quality and consistent power to the load. A UPS can give exceptional reliability and protection for critical systems by keeping them functional even during times of power inconsistencies. Though slightly on the expensive side, the benefits of the UPS outweighs the cost that is associated with it. The investment for a UPS can range from an affordable cost to highly significant costs. The system that is needed for a healthcare organization, a data center or even any medical emergency conditions have to be bulky to support all the facilities, and thereby these will be in the expensive bracket. Simple UPS which is needed for operation in a home or in a facility where only a few computers are operational would work out to be cheaper options.